As Affiliates, you earn money when your customers or clients order our products. 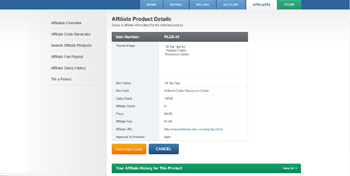 When you refer customers to the downloads, you receive affiliate commissions. Don’t worry, there is no product to ship. Hollandcodes.com handles the transactions and the downloads. By joining this affiliate program, you can earn commissions by promoting our products. 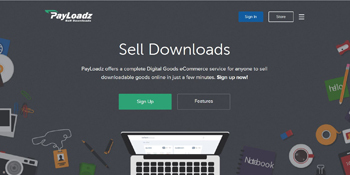 Since 2002, PayLoadz has provided a service to sell downloadable items such as software, ebooks, music, movies, digital art, manuals, articles, crafts, templates, files, and anything else that can be downloaded. Click on the Affiliate Builder link for one of our most popular downloads. steps to become an affiliate! We provide detailed instructions so that you can complete the process. 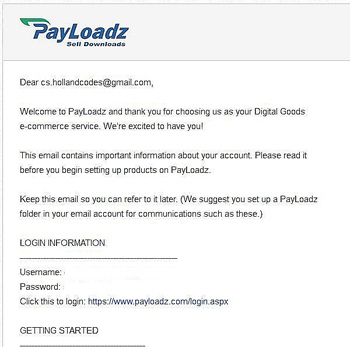 You will re-directed to Payloadz web site. If you do not have an account, you can sign-up for a free Affiliate account. To sign up, click on the "Click Here." link to create a PayLoadz account. If you have a Payloadz account, click on the "Click Here." to login in existing account. Complete on One Step Payloadz Setup. Click the "Submit Information" button. After you complete the sign up, you will also be re-directed to the Affiliate Product Details web page. To generate the Affiliate Code, click on the "Generate Code" button. 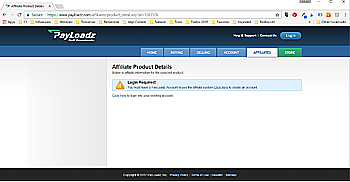 You will immediately receive an email with the Affiliate Code details. When you make an affiliate sale, you will be paid via Paypal. If you do not have Paypal, sign up for Paypal. 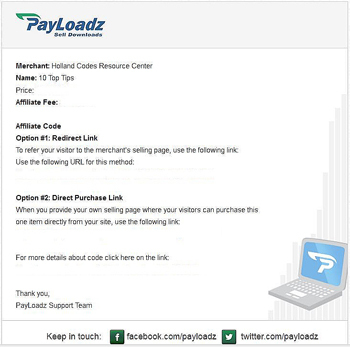 Once you have joined the Payloadz, complete the form below, and we will send you a 50% discount link for 10 Top Tips download!